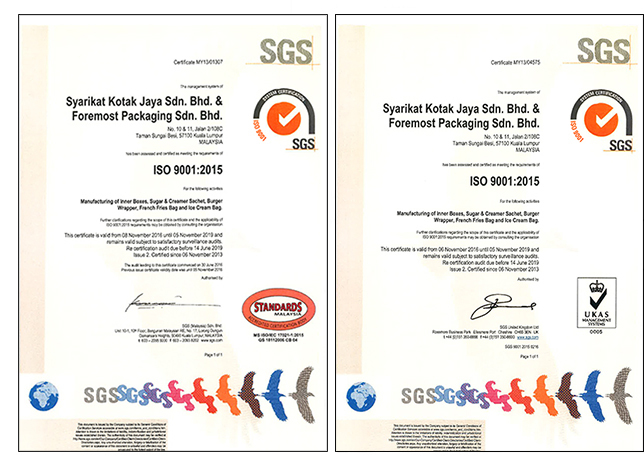 Syarikat Kotak Jaya was established to fulfill the needs of food paper packaging Industries. The founder of the company, Mr Tan Kok Hwa has many year of experiences that comes from packaging industry which translate into providing superior quality products, excellent customer service and flexibility to meet the market changing demands and customer needs. Syarikat Kotak Jaya have a long standing relationship with oversea paper mills to ensure consistent supply and high level quality for all our packaging. Contact us now and get a free quote for your business.